At least 7 people have been mugged since Friday as reports of street robberies continue to rise in Wrigleyville, Boystown, and nearby neighborhoods. Most of the victims were attacked by groups of offenders with varying descriptions, according to police reports and sources. Four of the latest muggings were reported in our immediate neighborhood. No one is in custody. • At 2:30 this morning, a man reported being beaten up and robbed by as many as 10 men in the 3300 block of N. Kenmore. No description of the offenders was made available. • Around 2:15 on Saturday morning, another man reported being beaten up and robbed by three black men near Roscoe and Clark Street. The victim was reportedly "irate" about his situation and no further details were available. 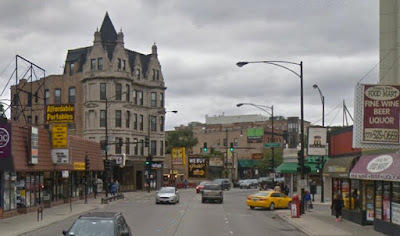 • Another man also reported being robbed at Roscoe and Clark Street this week. That incident took place at 4:20AM on Wednesday. The victim was beaten up and robbed of his phone and $40 cash, according to police. EMS treated the man for his injuries. The offender was described as male, black, bald, 5'10" tall, and wearing a yellow or orange hoodie. 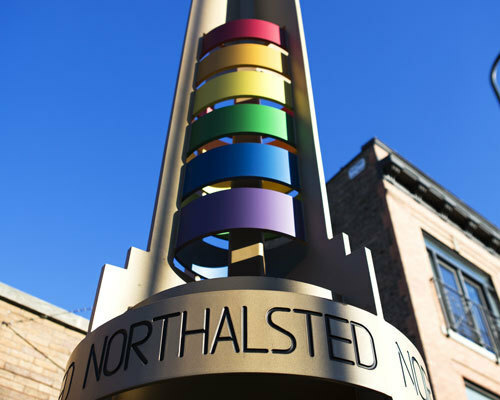 Three of the robberies took place on streets in nearby Lincoln Park. Two people were taken into custody for questioning after one of the incidents. • A man reported that he was attacked by three men who robbed him of his wallet and cellphone near Sheffield and Wrightwood at 2AM Sunday. The victim said the three men were Hispanic and wore shorts and tee shirts. • Two people were arrested after another man reported being jumped and robbed by six people at Clark and Deming around 2AM on Friday. One man and one woman were positively identified as being involved after police stopped them near Clark and Fullerton moments later. Charges were pending this morning. The victim was treated at Advocate Illinois Masonic Medical Center. • In a third incident, a man reported being robbed at gunpoint near the 7-Eleven store at Clark and Wrightwood around 1:30AM on Wednesday. The offender fled southbound on Clark Street in a silver Altima with the victim's wallet and phone. The stolen phone was last seen pinging from the Ontario feeder ramp in River North about 20 minutes after the robbery, according to a source. • An Uptown cellphone store was robbed at gunpoint last Monday afternoon. The offender walked into the Cricket store at 4814 N. Sheridan around 4:30PM, pulled out a semi-automatic handgun, and announced a robbery. He was described as black, 20- to 35-years-old, 5'9" tall, 170 pounds, wearing a long sleeve red shirt and a black wig.